People in their fifties start to wonder: When should I retire? Once I do, when should I take Social Security? Do I need to buy an annuity to make sure I have enough money to last my whole life? where you can download the 1st Chapter. 8.Should You Buy an Annuity? 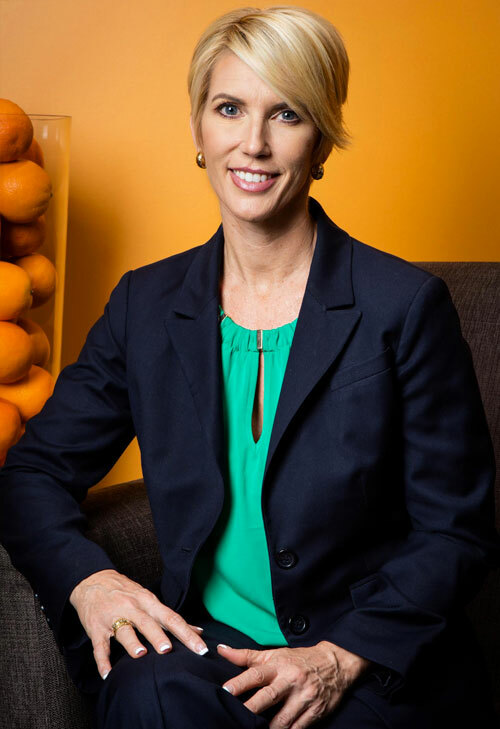 Dana Anspach, CFP®, RMA(SM) is the Founder and CEO of Sensible Money, LLC, a financial planning and investment advisory firm which works with a national clientele, helping people prepare for and transition into retirement. She is also the author of Control Your Retirement Destiny (2nd Edition), and Social Security Sense, and contributes retirement-focused content for MarketWatch. She also spent nine years writing for About.com as their MoneyOver55 Expert, which evolved into The Balance, where she wrote as their Expert on Retirement Decisions. When Dana is not writing, she enjoys riding her Harley on local and cross-country trips, reading, working on spreadsheets (seriously), and grilling out at home with family and friends, both the two-legged and four-legged kind. Mike Piper, CPA and author of Oblivious Investor blog and several personal finance books. I'm a CPA who is currently working through the educational materials for the "Personal Financial Specialist" designation. Frankly, I think this book would have been a better textbook for the retirement planning course than the textbook that was used. This book is wonderfully thorough. It includes helpful discussions of retirement budgeting, retirement tax planning, Social Security claiming strategies, retirement portfolio management, and more. The chapter on tax planning alone is worth the price of admission. It is a rare pleasure to read a book on personal finance with which I agree completely. Dana Anspach has produced one. I am usually turned off by the chapter on investing, which is typically false and misleading. Investing should always start from the safest strategy to achieve one's goals. Dana Anspach gets it right and expresses it in entertaining prose that anyone can understand and enjoy. If you’re looking for a nuts-and-bolts, do-it-yourself primer on all things related to retirement, this is your book. Ms. Anspach has put together a very complete overview of all of the areas that you need to consider in order to “Control Your Retirement Destiny”. 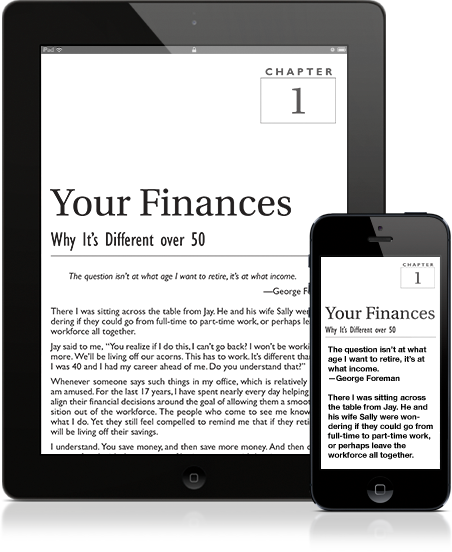 By following the advice in this book, you can figure out how much money you need to have to retire, where to put it (meaning, what types of accounts to use), how to invest it, and all of the other important topics that you need to know about. Written in understandable terms by an author with no ax to grind, this book is the best book I have ever read on the subject of retirement. I am a CPA with 30+ years of experience and have been looking for a book like this for years. It is now required reading for all accountants in our office and is being recommended to our clients as well. 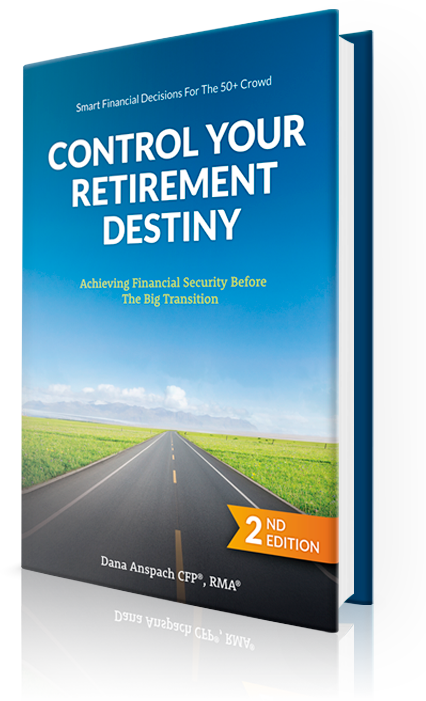 Control Your Retirement Destiny: Achieving Financial Security Before the Big Transition is for those who are beginning to think about when and how they might transition out of regular, full-time work. It will enable you to take charge of your financial future right now to ensure a happy, secure retirement.